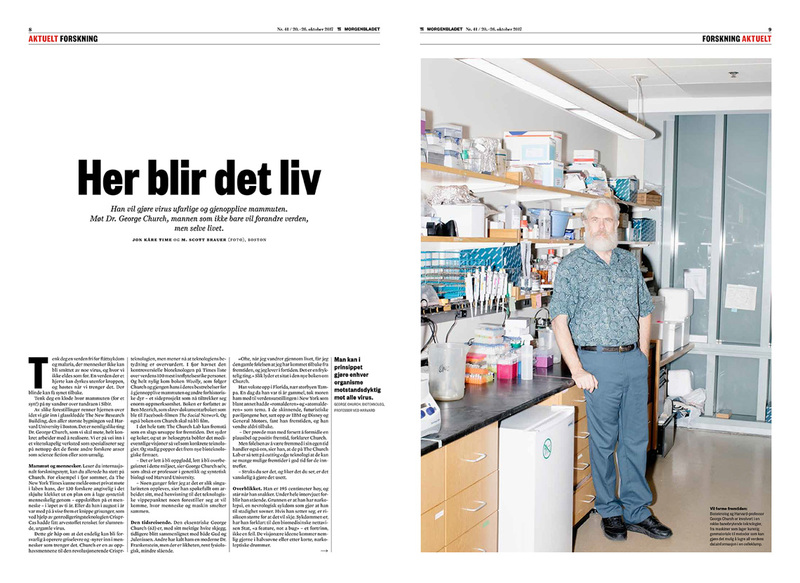 I photographed Harvard and MIT geneticist George Church a couple of months ago for the Norwegian news-weekly Morgenbladet. 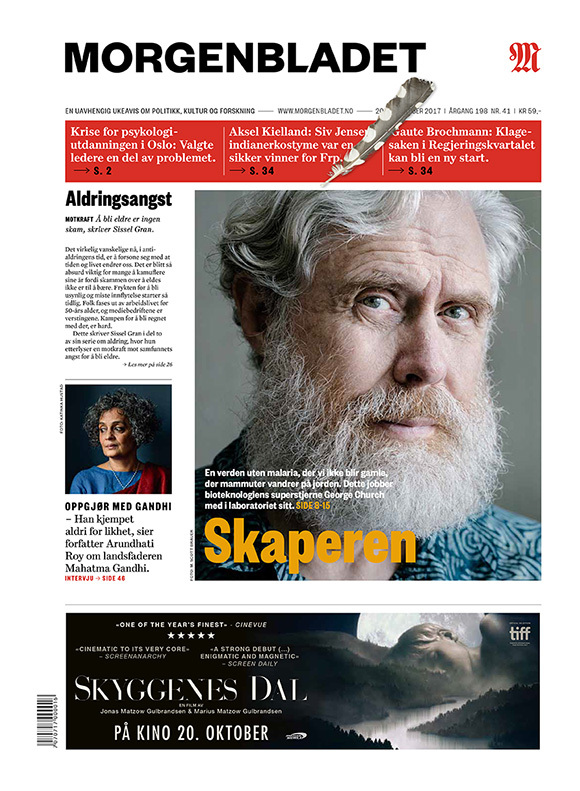 His work is fascinating--he's contributed to targeted gene editing such as CRISPR (and a newer method he thinks is better) and cloning the DNA of the woolly mammoth (soon to be a major motion picture)--and it was a joy to sit in on the interview and work alongside Morgenbladet writer Jon Kåre Time. We were a bit unsure what sort of access we'd have for the piece, but thanks to the lab for being so open, I was able to get enough pictures for the cover (at left) and across 8 pages inside the magazine. 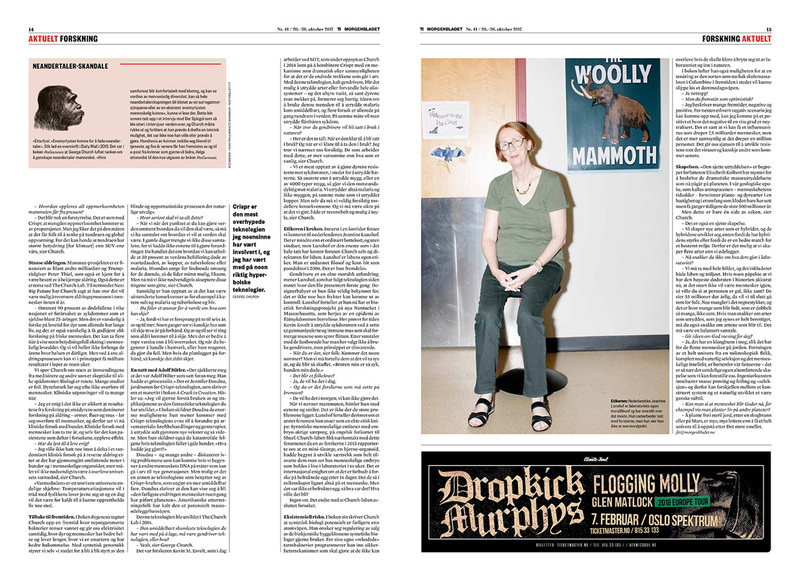 I wish I could read the reporting, but if you happen to speak Norwegian and subscribe to Morgenbladet, you can read the online version here. There are a few images online that didn't appear in print. 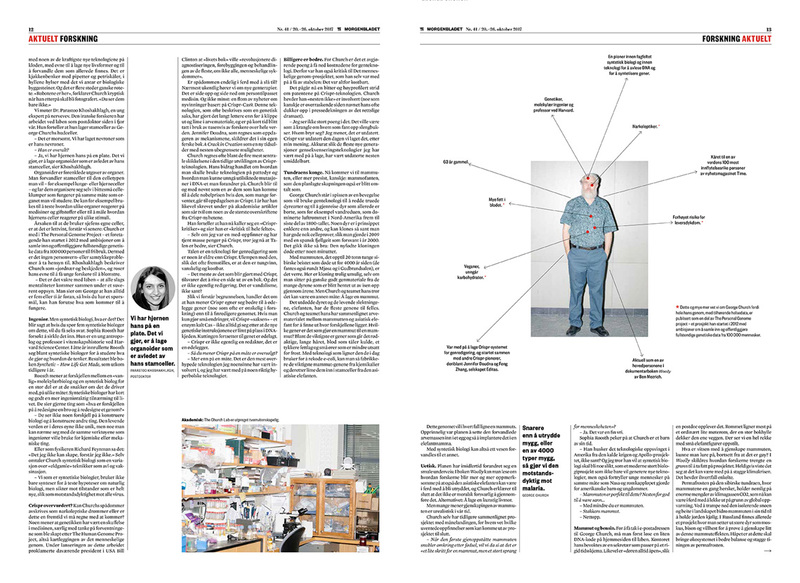 I've got many more photos in my archive from my short time in the lab with George Church, his lab's staff philosopher and bioethicist Jeantine E. Lunshof, and the rest of the researchers. A big thanks to Christina and Jon at Morgenbladet, Jonno for passing the job along to me, and Church's assistant and lab staff for being so accommodating to us.